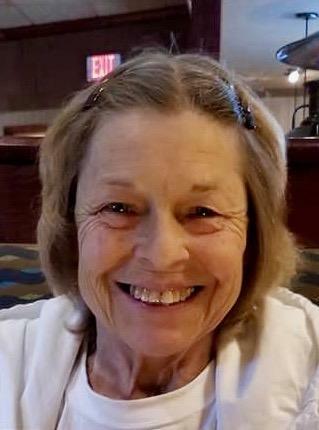 Karen Petrey went home to Jesus on January 17th, 2019. She passed away surrounded by her family after a sudden illness, aged 66. Karen Ruth Petrey was born April 6th, 1952 in Des Moines, Iowa. She was the youngest of three daughters and grew up surrounded by a large extended family. She is preceded in death by her parents, Donn and Mary Schaff, and her brother, James Richard. She is survived by her husband, Bennie Ray Petrey; son Donn Petrey and daughters Colleen Lahna and Lilly Petrey; and older sisters Janet Woolsey and Theresa Schaff. In 1977 Karen joined the United States Navy as a Cryptologic Maintenance Technician. This role took her to Orlando and Pensacola, Florida and Misawa, Japan. She met and married Ray in 1978; they proudly celebrated forty years together last July. After an honorable discharge in 1981, Karen was happy to focus on her family as the Navy took them to Kings Bay, Georgia, London, England and eventually Charleston, SC. After a 15 year career with WalMart, Karen retired in 2011 and became deeply involved in her church community. She was active in Cursillo (#165) and was also a member of the Daughters of the King. In addition to her church activities, Karen delighted in spending time with her five grandchildren: Chasta, Russell, David, Maija and Autumn. A memorial service will be held Saturday, January 26th at 2 pm at St. Paul’s Anglican Church, located at 316 West Carolina Avenue, Summerville SC 29485. In lieu of flowers, donations may be made to the Lung Transplant Fund for Michael Schreiber, whose own battle continues and weighed heavily on Karen’s heart. Karen was loved by all who knew her and will always be remembered for her brilliant smile, sunny disposition and unwavering hope. Despite a prolonged battle with cancer, her heart was full of joy and she never stopped reminding those around her that God is good, all the time.